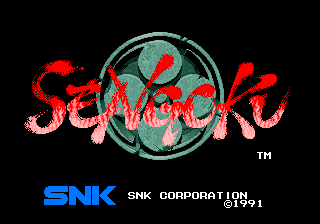 I took the original title screen, resized it with Paint Shop Pro, changed the palette so it used the one the game loads on startup, made it look more like fire than the original, and moved some of the letters around so they would fit better / be more centered. Took me a day or so, but it's pretty much done. My nephews showed me this month's issue of Nintendo Power. It had a section that spoke of older, popular games for their systems. This month's issue dealt with Kid Dracula. And guess what? They never mentioned you know what. Of course, they can't do it. They're an official NOA publication. Still, it kinda hurt, being ignored like that. Anyway, some kind anonymous soul or something sent files that could, in theory, enable me to finish Samurai Pizza Cats, which is cool. Unfortunately, I'm stuck in the middle of rural Tennessee without access to my own computer (and this machine is, to put it bluntly, a POS) so I can't test it. Just figured someone would like to know. Gone to Gringoland, be back in a month. In the meantime, here's something to keep you busy. Just watch out for... oh you'll find out. Bishi (White Rabbit) Woz wants you to go to Scans Daily. NOW. To start, go download version 1.04 of the Kid Dracula patch. It changes TWO BYTES! Actually it's just a protection fix to prevent possible crashes in emulators or clone hardware. 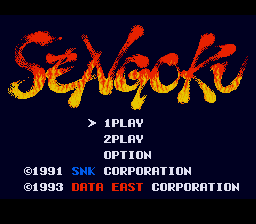 I also updated the patch info to properly credit Scheurbert, the artist that helped me with the title screen graphics and other stuff. If you live in Australia, hire him to do graphic design for your firm! He's awesome. Math skills, don't fail me now.